A funny thing happened yesterday...A few days ago I stopped in to a shop to drop off an item for service and was to return in two days' time to pick it up. I hadn't seen the woman who waited on me for some time and we chatted a bit to catch up. When I returned she greeted me with, "I have a surprise for you!" and handed me this spool of thread. It took me a long moment...and then a light bulb came on. We both started laughing. Years ago I had made napkins using this variegated thread on the rolled edge. She admired the thread so I gave her a spool. She promised to return it after she made her napkins...but they never got made and the thread sat all this time. How much time? Hmmm...Our kids were little and I was teaching Sunday School ...it must be 16 years ago. Look at the price! I love the unexpected. This was such a good laugh! In addition to gold, there are three other shades of silk being used to form the design on the pure white background: champagne, cream and ivory (no hubby, those words don't all mean the same thing *-). The colours are pale at the edge and intensify towards the centre. It's slow going but the process is enjoyable. In the past I didn't show pictures of the paraments as they were being sewn, waiting instead until the congregation had seen them. As this one is for weddings, I don't think that's really a consideration anymore as it won't be presented as a beginning to a new church season. I hope I am not breaking any rules! 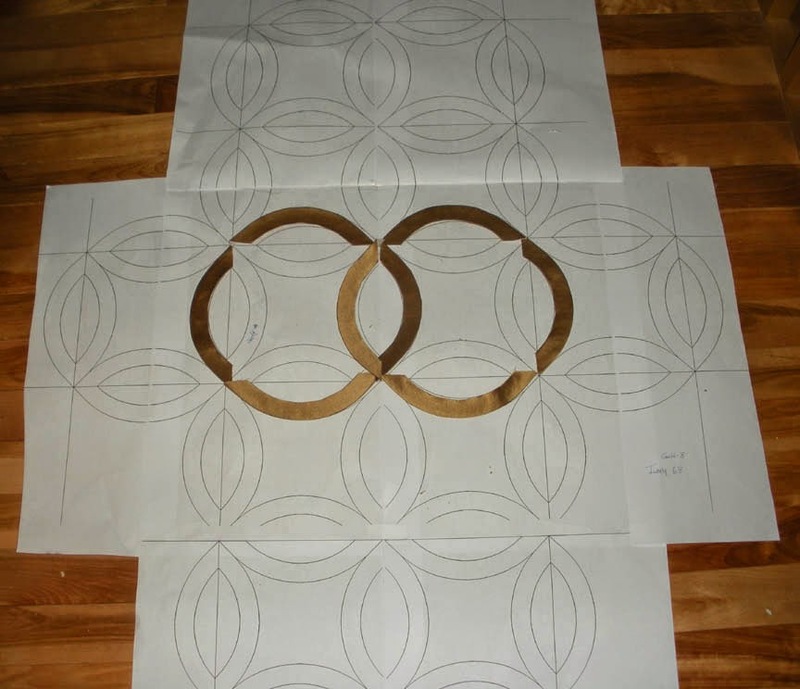 Because the design is based on a traditional double wedding ring block, there were lots of choices to be made about how best to approach the construction. Generally the blocks are pieced, but appliquéing the rings is also an option and that's the method I chose. Within that discipline, I also had to consider if I would appliqué individual blocks or simply do the rings on a wholecloth background. I decided to do individual blocks; this way will allow me to combine patchwork and appliqué in the construction...and also help define my space for quilting. 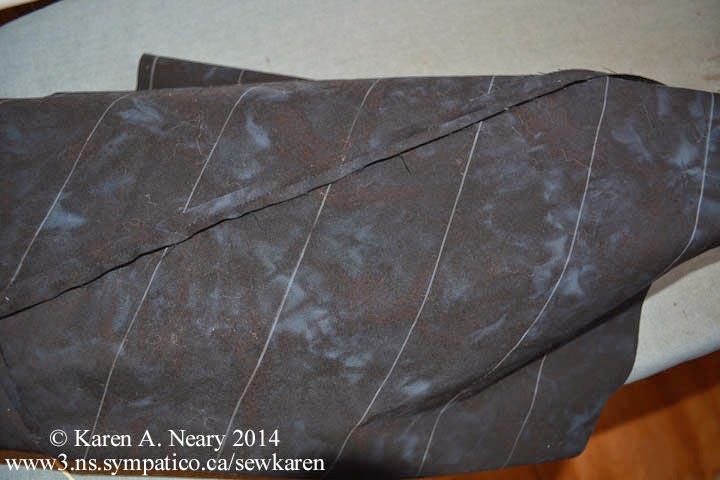 I began by applying a featherweight fusible interfacing to the back of the silk habotai. The antependium needs to hang straight on the pulpit so having the piece a bit stiff is an advantage. These are new silk pins so they are nice and sharp; notice the pins only go in the seam allowance. They can leave holes in the delicate silk. I also bought new scissors and they are awesomely sharp! They are identical to my old ones, so a special thank you to Lesley who gave me the cute little scissors fob. It makes it easy to see which pair to pick up. 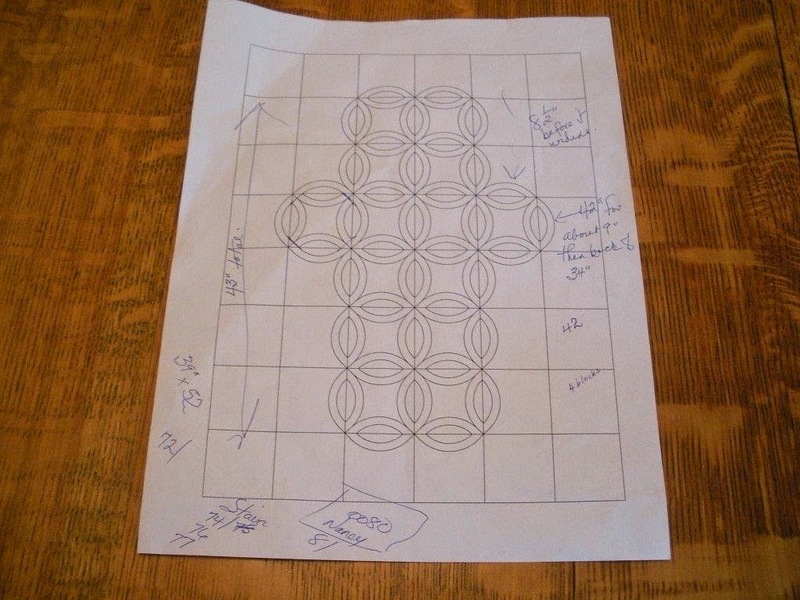 I cut freezer paper templates with the seam allowance removed, ironed them to the back of the interfaced silk and using a glue stick, folded the edges under. I clipped the concave curve so it will turn smoothly but not the convex one which turns neatly without encouragement. The rings fit nicely on the 6" blocks. I printed out another full sized pattern to make it easy to check the placement of the rings as I go. 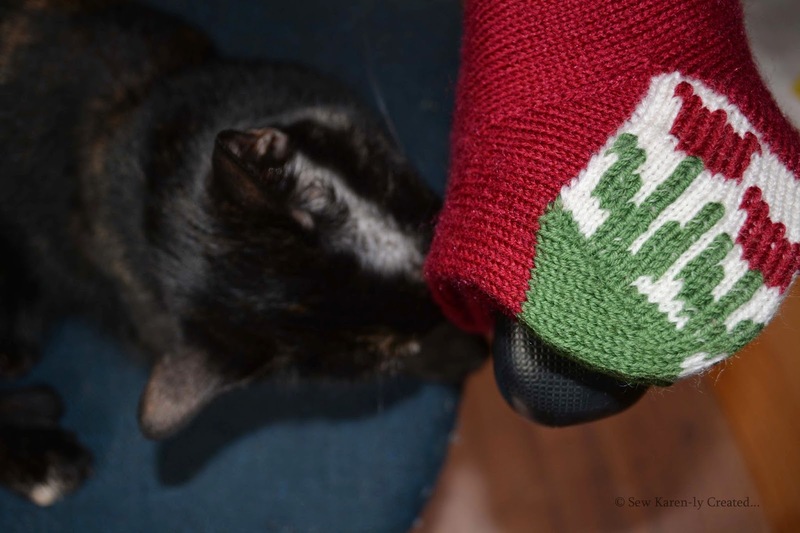 It's raining outside, the hubby is home, the cats are restless...and I have an antependium to make. This is a wedding parament and the design will be very traditional. I've had my sketches drawn since November and bought the silk in January...and that's as far as I got. In a previous post I mentioned I picked up some fun fabric on my trip to Mrs. P's the other day. 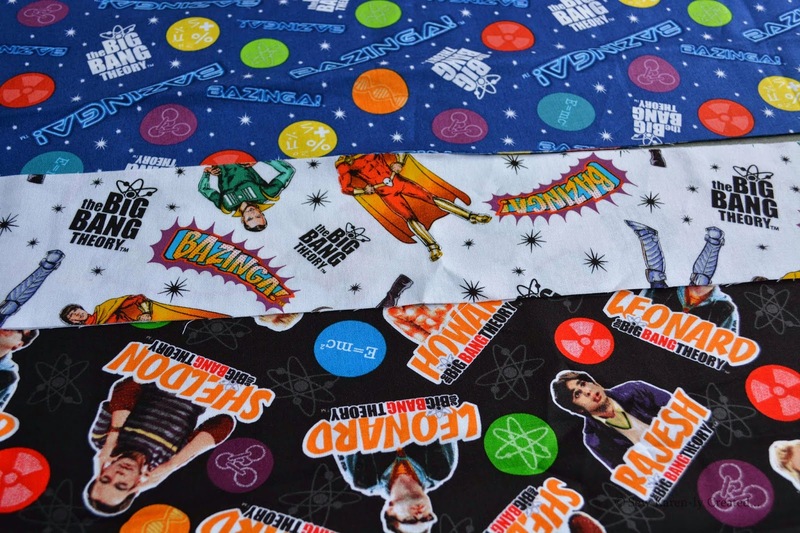 She received this novelty print of The Big Bang Theory; I know someone who is a big fan of the show. Week before last when I filled in at her shop, I cut many pillowcase kits for customers so I decided that would be a perfect quick project (and useful gift). Not having made one before, I followed Beth's simple instructions and had a finished pillowcase in less than 10 minutes. 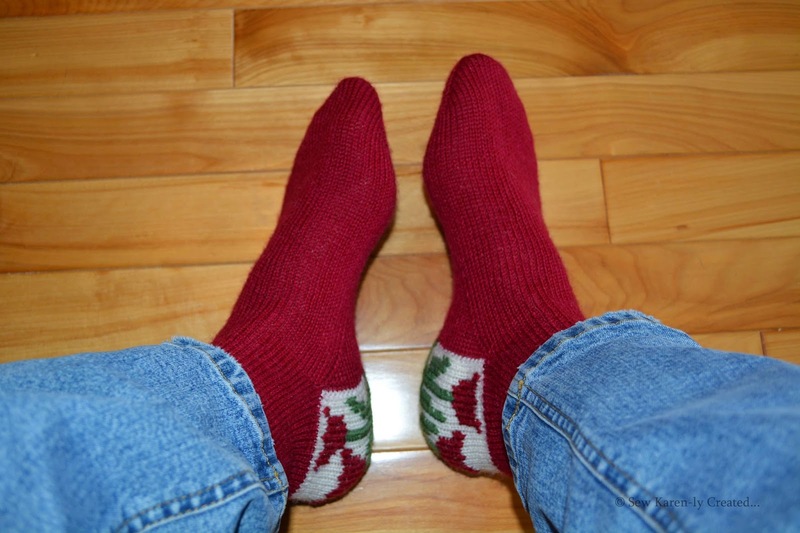 No wonder quilters love sewing these things! It was one of those days...the kind that start off with a dental appointment and then go downhill from there ...including a summons for jury duty. Sigh...I needed a fabric pick- me- up so I headed down to Mrs Pugsley's Emporium. In addition to some awesome fabric, I got a big surprise! Aren't they gorgeous? 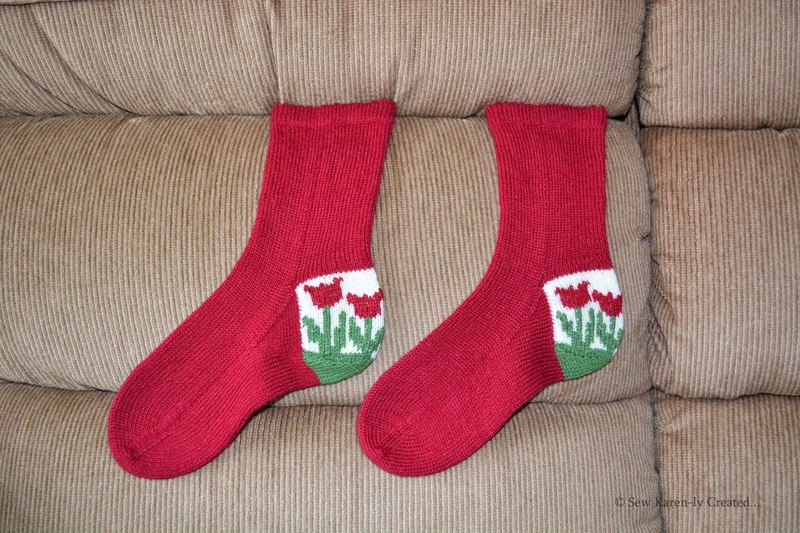 They are a gift from a very talented knitter, Lou Harrington. 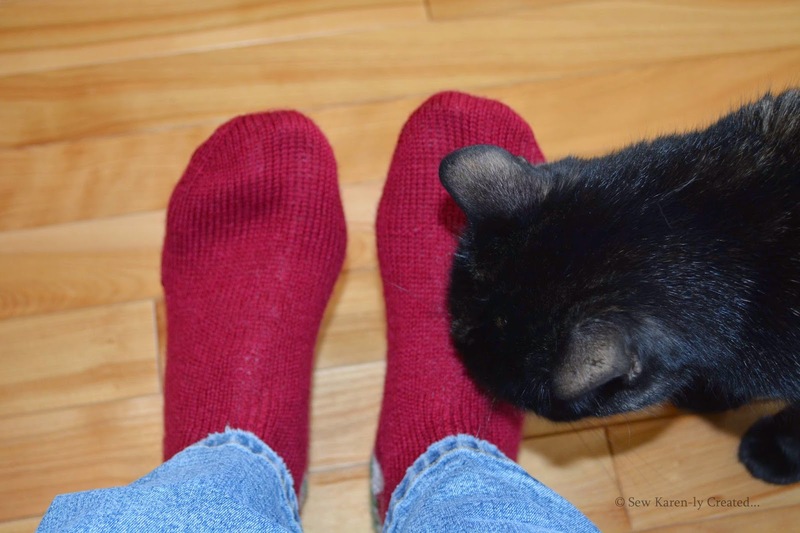 I'm not really sure why Lou thought of me when she knit these socks - other than that they are red - but I am just thrilled she did. They are beautiful. 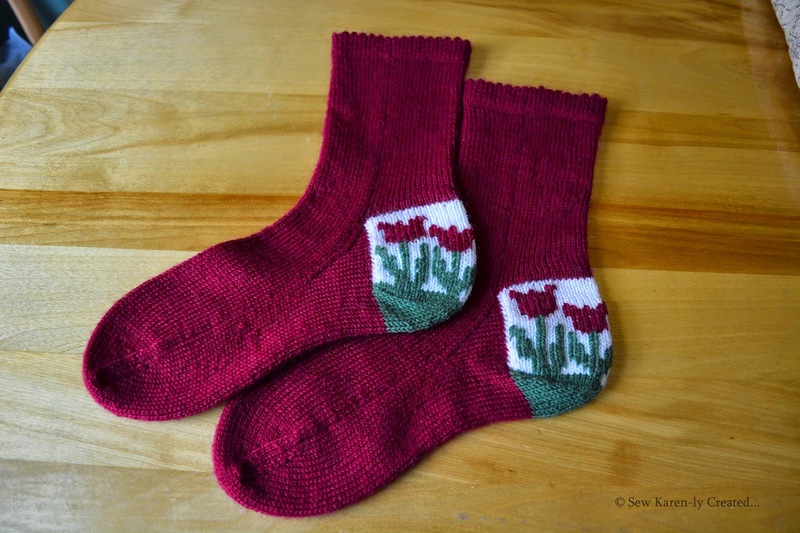 They have a dainty picot edge on the cuff, flowers worked in duplicate stitch on the heel, and are knit from a very fine wool, much finer than I've ever knit. Lou says the wool is 99% sheep and 1% Lester. (Lester is Lou's cat!) Polly discovered the Lester right away. 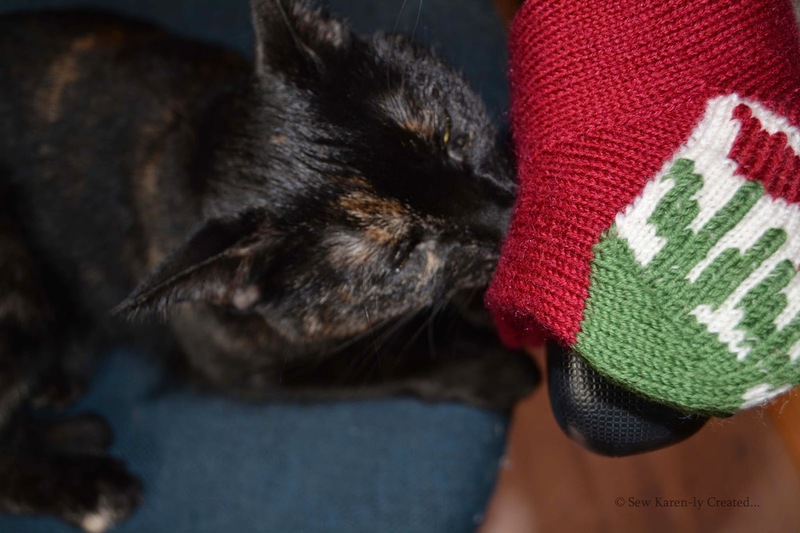 I swear she sniffed every single stitch before she gave permission for those socks to go on my feet. Polly is still checking to make sure the Lester content is up to code. 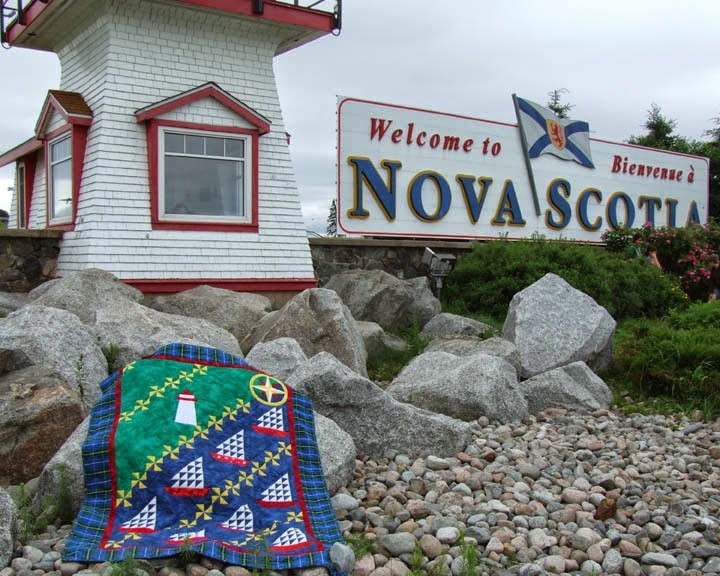 Lou is joining the teaching team of the Fibre Arts Festival Society of Nova Scotia this fall and will be doing three different workshops on knitting. 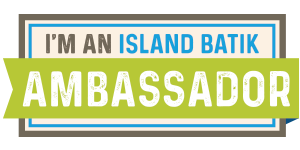 You can contact Lou if you would like more information on her classes. Thank you Lou for your thoughtfulness; you sure turned my day around. Canada is enjoying a holiday today, one which pre-dates Confederation. Originally May 24th was set aside to celebrate the actual birthday of Queen Victoria, however now the holiday fluctuates so that it is celebrated on the last Monday before May 25. 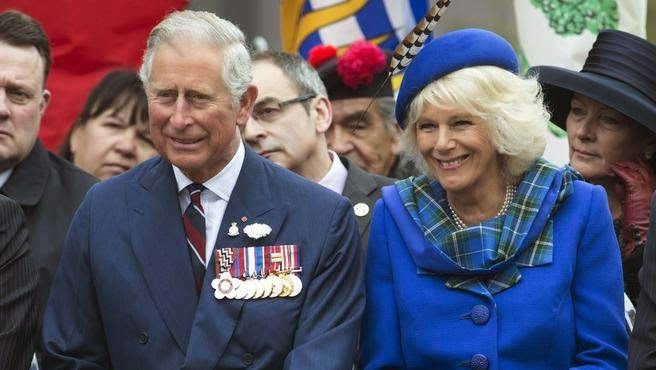 It is fitting that HRH Charles, The Prince of Wales along with his wife Camilla, the Duchess of Cornwall are now visiting our province. We decided not to travel to Halifax or Pictou for a look, but opted to watch on the T.V. instead. 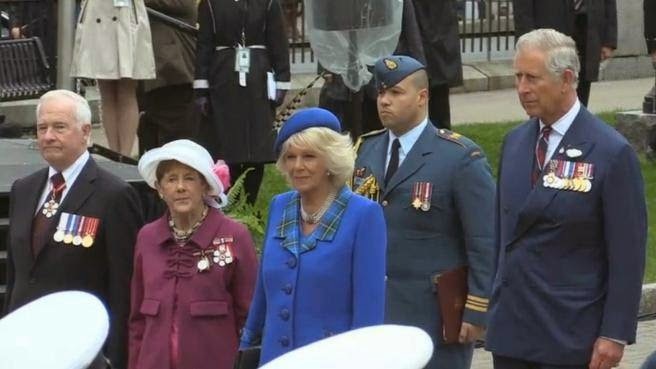 I love the coat worn by the Duchess of Cornwall this morning- a bright blue with lapels made from our Nova Scotia tartan. Such careful attention to detail is always evident on royal visits. 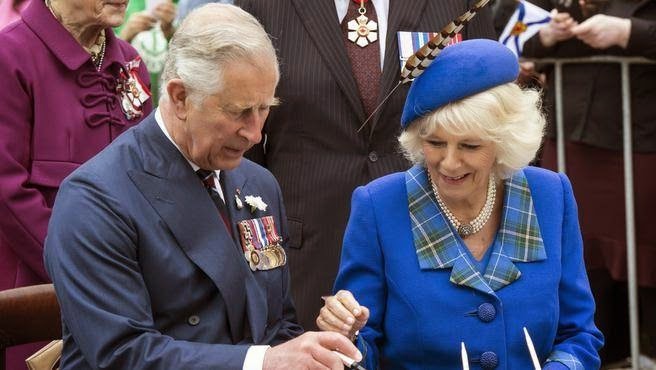 Later Camilla added a scarf made from the same wool tartan. I love seeing our tartan displayed. 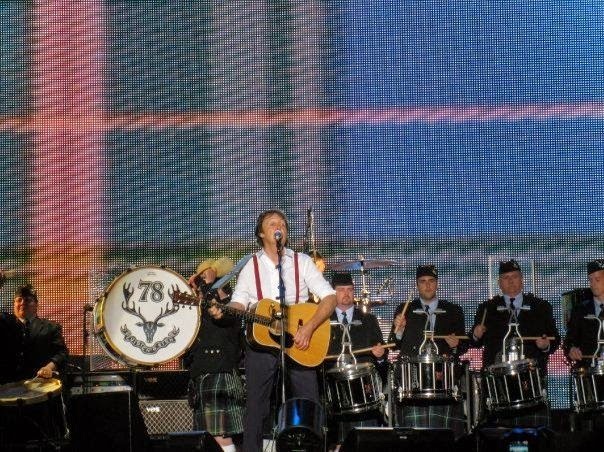 One of my favourite memories of Sir Paul McCartney's visit a few years back was a huge stage backdrop of the N.S. tartan while the pipers played Mull of Kintyre. 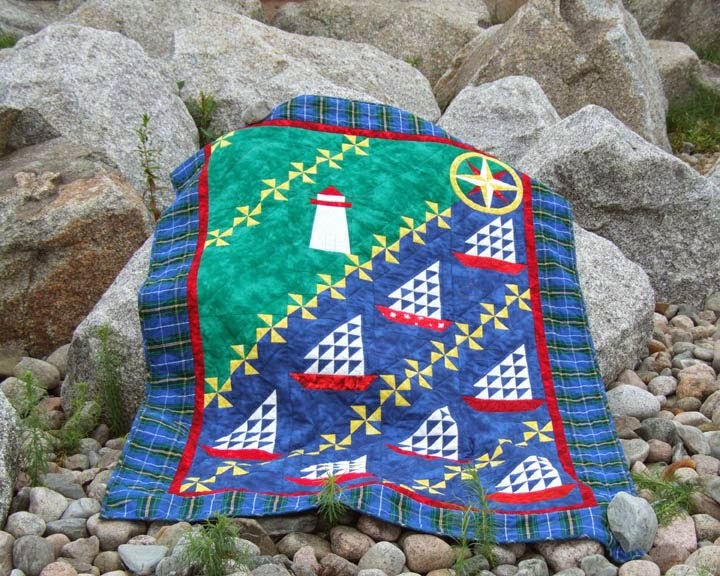 I used the tartan, woven into a smooth cotton, in the border of the quilt I made Sir Paul, and backed the quilt in a brushed flannel version of the same. Maybe it's time to do an all-tartan quilt? Hmmm... Happy Victoria Day to all! Such a boost to the spirits to have sunshine and warm temperatures for our May long weekend. The flowers are not in bloom as yet, but the rhubarb is making a valiant effort to get noticed. I've added a new pattern to my Craftsy shop; this is Meadowsong, which has been available for some time in a print version. Now you can instantly download the pdf pattern to your computer. It's a great pattern to use up scraps, and the pinwheels are made using a quick method for the HSTs. Back to weeding for me...I hope you are enjoying some sunshine where you are. One wall of this incredible historic space is taken up with an imposing and unique piece which came from an old barber shop just down the street. The mirrors reflect lots of light around this already bright shop. This is looking towards the cash at the front of the store. (Yes I did make that quilt, thank you for asking :) It looks like stained glass in the window. The building is furnished with many antiques including this cart which makes a great spot to display flannels. At the back of the store is the display of Moda fabrics, precuts and matching yardage. There are lots of FQ's bundled into Mrs. P's signature star packs. Another wall houses Hoffman batiks in every colour under the sun. You can see a couple of Mrs. P's sock monkeys peeking out around the shelves. This collection by Hoffman is called Maple Lane and looks very Canadian, with maple leaves and wheat motifs. It's beautiful. Folks have been purchasing it to make Quilts of Valour for our soldiers. I can barely take my eyes off this new line from Hoffman called Narumi. Another really interesting display in the shop is of African hand embroideries, and fabrics to coordinate. 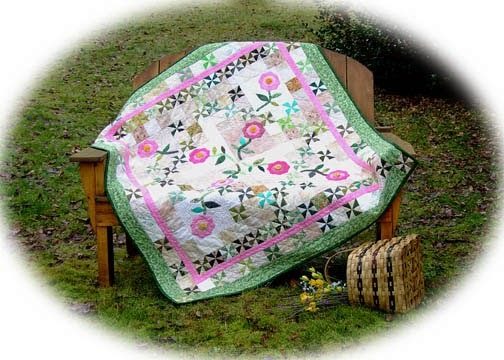 This quilt was made by Beverly Rebelo of Zimbabwe. 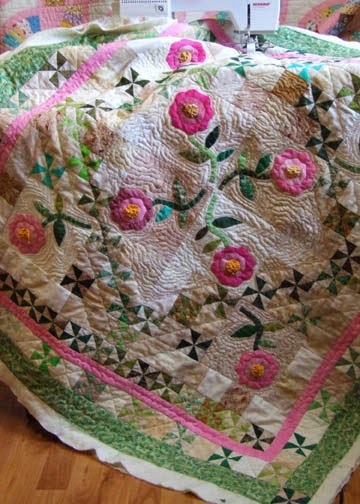 You can read more about Beverly's quilts in a previous post. I spent the afternoon at Mrs. Pugsley's Emporium. It's been awhile since I've been in as life has been incredibly busy of late. I had a ball checking out all the new fabric collections, including this one from Stof called "Owls On A Date." Having no previous knowledge of owl courting rituals, it was interesting to see their approach captured in fabric. What a hoot! 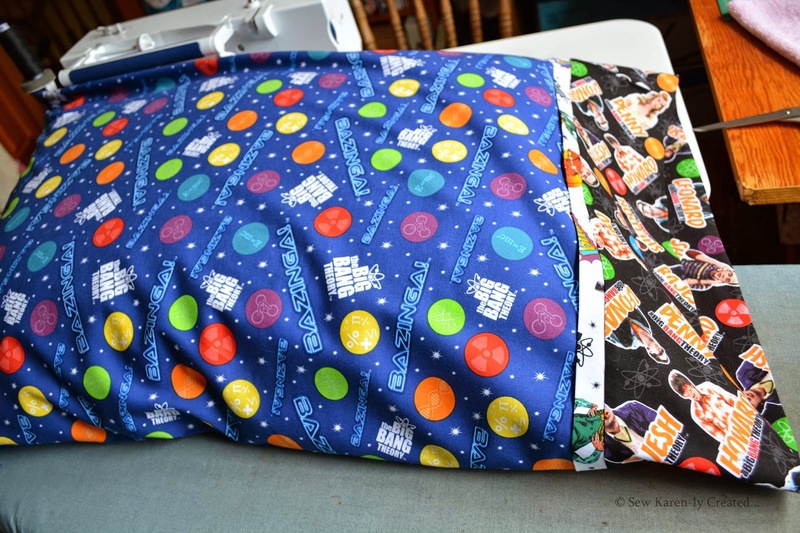 I love how Mrs. P's does her Fat Quarters up in star bundles tied with personalized ribbon. That's such a nice touch. Hmmm...if you are a young night owl, I wonder how late you are allowed to stay out? 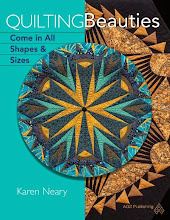 For the past 15 or so years, I have participated in the annual Trend Tex Challenge - a fundraiser for The Canadian Quilter's Association (CQA). I've never been terribly successful with this challenge (although one year I did get Honourable Mention!) 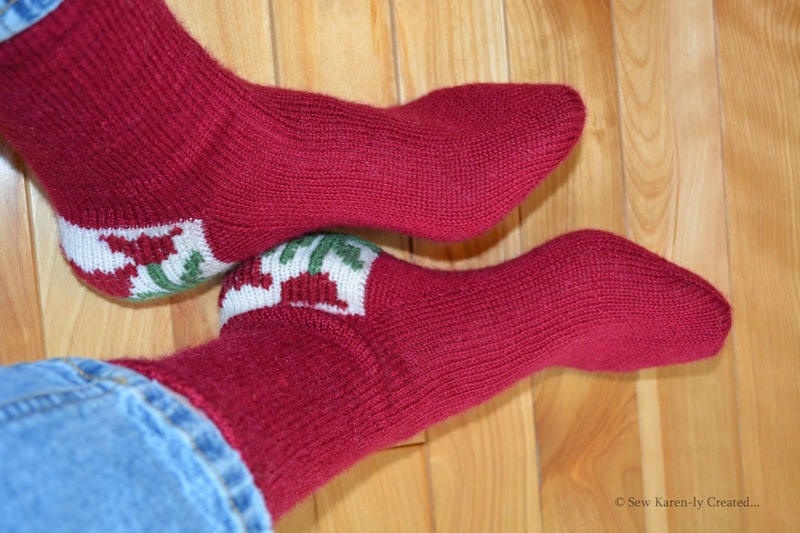 mostly because it involves the use of Fat Quarters which I have trouble warming up to. That was always the biggest part of the challenge for me: having enough fabric to say what I wanted to say. 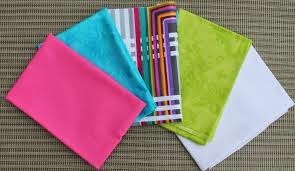 These are the fabrics for this year's event, generously donated by Trend Tex Fabrics. They are very well chosen for the theme, "Modern Ways". Last fall with a plethora of deadlines, commitments, and the mother-of-all-stresses coming at me at the same time the kits were available, I decided to let it go. (I've decided to let a lot of things go...) Thankfully, there were plenty of other keen souls who took up the challenge. You can see the entries here. 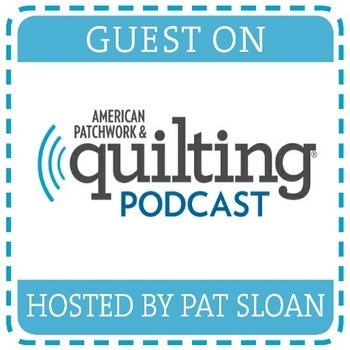 It was great fun to look at all the quilts, with the added pleasure of seeing so many names I recognize including Dolores, Elaine, Dorinda, Joanne, and Anne, who read this blog. Well done! 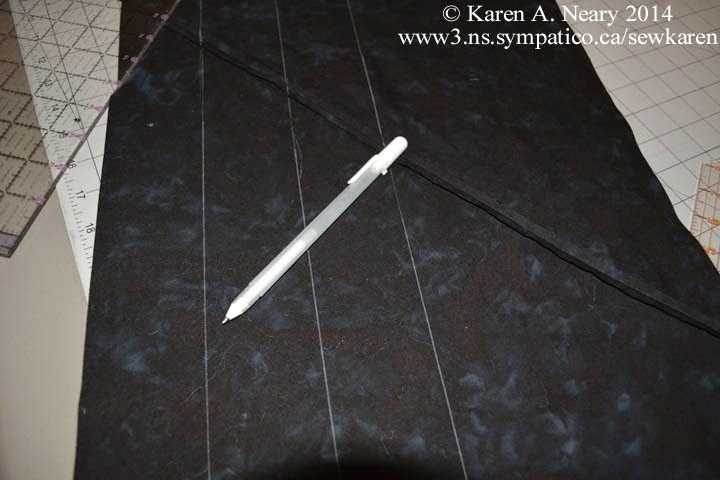 Making bias binding from dark fabrics has always been a tricky operation. The Clover white marker leaves a clear visible line on dark fabrics but disappears when the heat of the iron touches it. On a regular ironing board, it's difficult to keep the marks intact. My solution is to use a sleeve board to do the pressing. 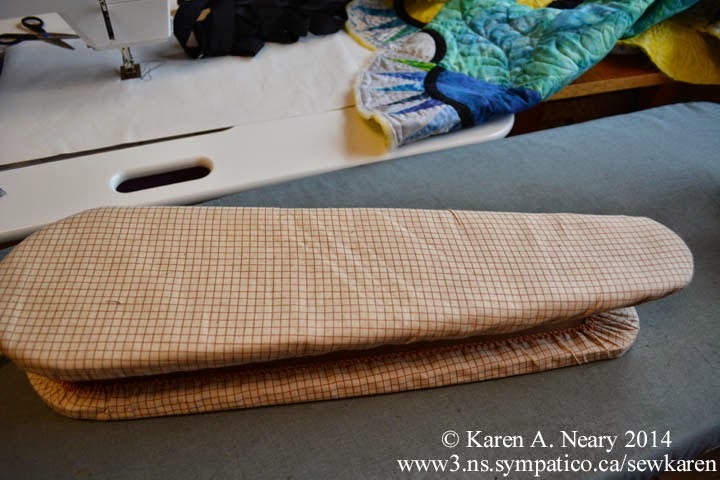 The tube of fabric slips over the end of the sleeve board. 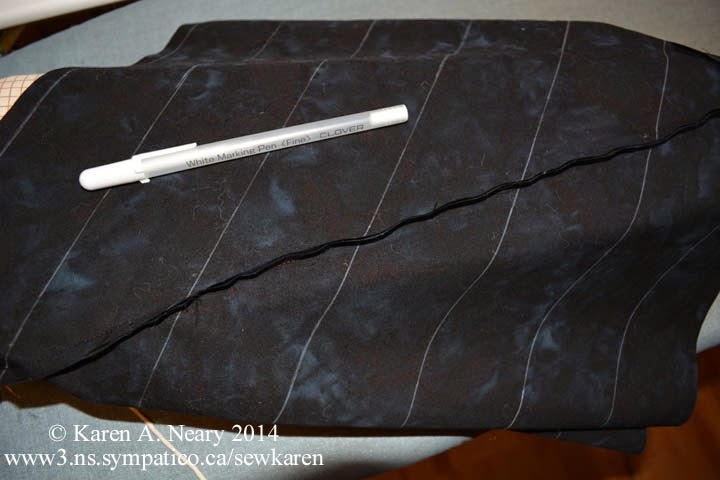 Using just the tip of the hot iron, I am able to carefully press the seam open without removing the marks for cutting. In a pinch, this method will also work if you mistakenly draw your lines with a FriXXion marker (ask me how I know...). Because so many of my quilts have curved outside edges, I make a lot of bias binding and find this method works great every time.